On the 12th of March 2015 our beloved game Card Crawl was released and made it’s mark in the world of mobile games. Here’s an overview of how the game grew up. The time around the 12th was the most exciting point in Card Crawl’s history for sure. Card Crawl’s world wide feature, especially the #3 in the US was huge and we could recoup our investments in one Week. I wrote several big Blog-Post about it’s success on our Blog: The First Week of Card Crawl and The First Month of Card Crawl. While the game was getting a lot of praises it was horribly bugged in the first few weeks. One of the famous early bugs was the „pair“ bug where sword and shields where always dealt out in pairs. In addition to that we had some serious memory issues on older devices that where fixed about a month after released with version 1.4. 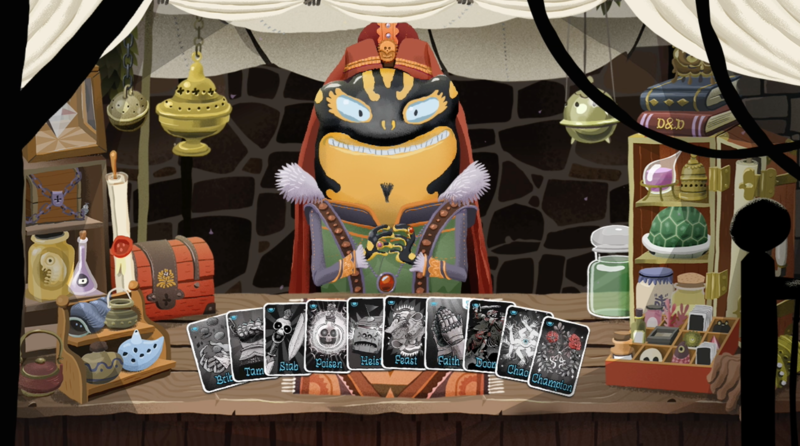 In June we released Card Crawl’s first Expansion where we added new cards and game modes, improved several performance issues and made some balance changes. 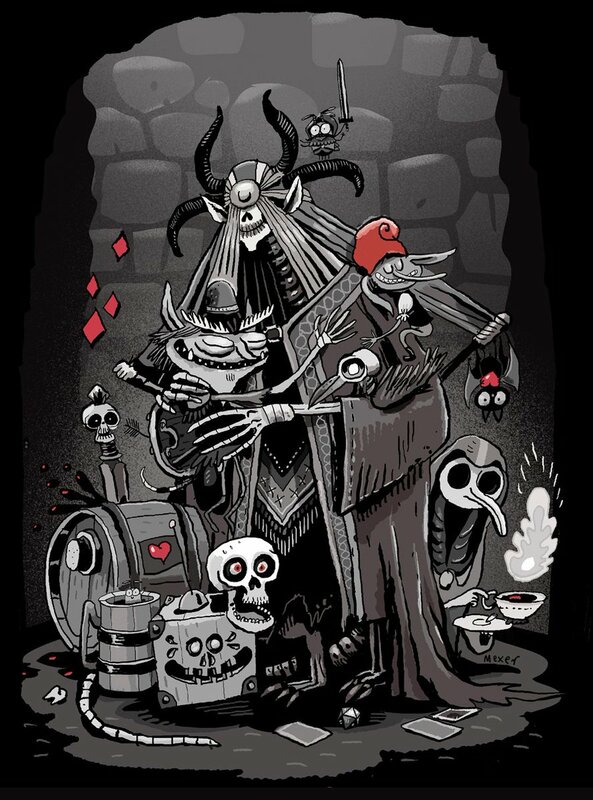 The Daily Dungeon until today is Card Crawl’s most played game mode and a lot of players still enjoy the daily competition. You can always peak at the last 3 days and what ability cards where chosen for that particular day here: Daily Dungeon Top Scores. In August 2015 we released the Android version of Card Crawl which was a big success too. 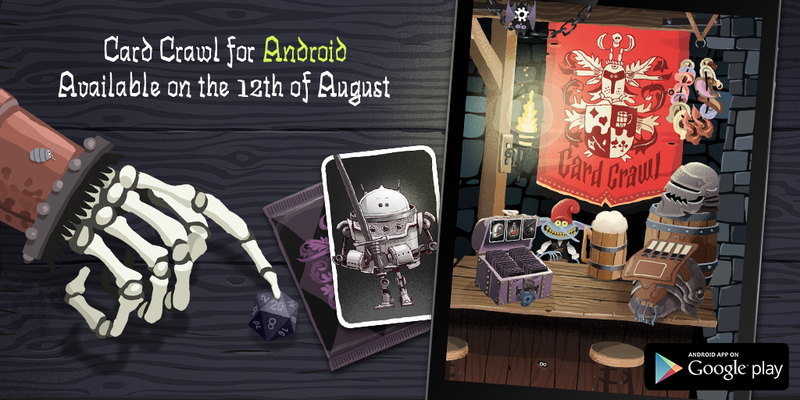 We wrote another big post about it here: First Week of Card Crawl for Android. While we expected some sales from the Android version, it actually blew our expectations out of the water. Today the average Android revenue is almost identical with the iOS version. But more later. Card Crawls business model on Android also brought us a lot of new players who really enjoy the game as a free demo and then later pay for the full version. Despite the horror stories of Android as a platform in general we really had to change our mind about it and are super happy to release any future games an Android as well. In December we released another content update that included 10 new cards and a Dungeon Deck editor called The Deck Merchant. 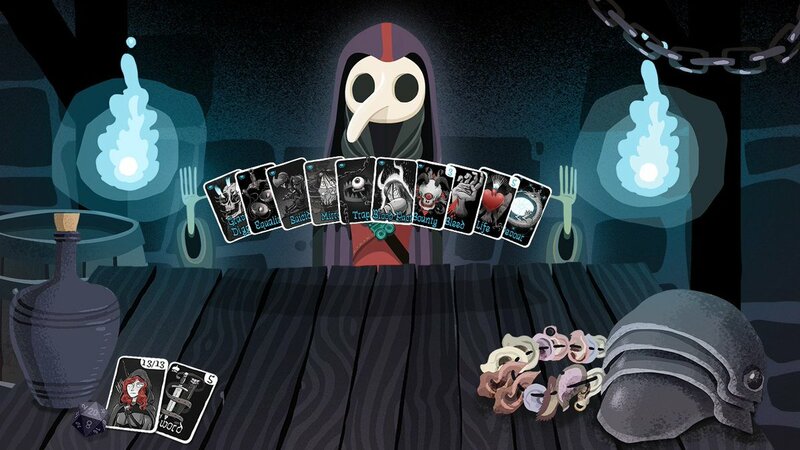 The Deck Merchant was a really cool feature to implement because it allowed players to create and share custom decks that offered new ways to play the game. For the custom decks card values are not restricted and it’s possible to create a 25-Monster card or a 50-Shield card. A lot of players created really cool decks and the top played deck „Caramel“ by Chloe has 11600 plays. Each deck has it’s own highscore and a lot of players enjoy the new competition. In total we have 111 custom dungeon decks that have more than 100 plays which is just fantastic. In February we released our latest update which included some serious balancing patches, a highscore reset and replaced the streak-mode with a new delve-mode. Delve-Mode is a increasingly difficult challenge that offers a new highscore board to conquer and was received quite well by a lot of player. Some people complaint that it might be a bit too random at times but we have to see how the top scores in delve-mode will evolve. As you can see Card Crawl evolved quite a lot in one year and we’ve put a lot of hours of our time into making it the game we want to play every day. What we got back from our players was definitely way more than we ever expected, so thanks again for everyone who has played or talked about Card Crawl in past! Thank you very very much! It’s pretty obvious that the success of Card Crawl was the biggest thing in 2015 for us. 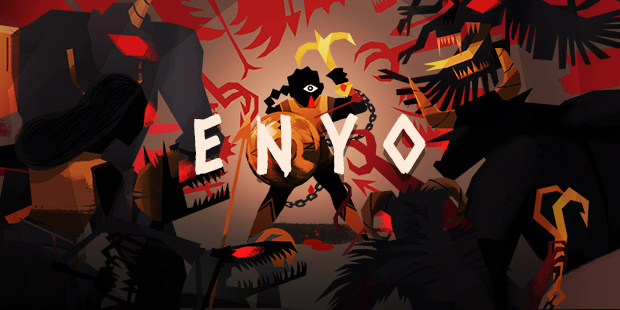 It brought us financial stability, amazing fans who are now anxiously waiting for our next game, several mentions in best of the year lists and also three (yes 3) best of the year awards from Pockettactics! Best card game, Readers’ and Editors’ Choice! Thanks for that – absolutely amazing! In addition to that we just receive a nomination for the German Games Award in the category „Best Gamedesign“ which is another amazing accomplishment for Card Crawl. The Jury will announce the winners on the 7th of April 2016 and Max, Oliver and i will make sure to represent Card Crawl personally. It’s a great thing that the game is recognized along a lot of very good games that came out of German development teams in the last year. In good tradition here are some real numbers from Card Crawl’s one year period of being sold on iOS, Google Play and Amazon. In total from the 11th of March 2015 to the 12th of March 2016 Card Crawl made roughly $100.000 in revenue. Amazon revenue added another $2000 to that. We have 124.613 installs on Android and 12.236 buyers. The average conversion after 1 day is 4,4% after 15 days 8,6% and after 30 day it’s 9%. Which is really good in comparison to regular f2p conversions that are mostly below 2% after 30 days. Card Crawl was a big success critically and financially and we are super proud that we could make a game that will last on a lot of mobile devices for a long time. It will support the development of our next game and hopefully will continue to support us for at least another year. Big shout out to Max Fiedler for his amazing art and Oliver Salkic for his fabulous sound and music which both make Card Crawl the fantastic experience it is! Thanks guys and again thanks to all players!